Vino-Sphere: Wine Auction Offers Help For Haiti. Wine Auction Offers Help For Haiti. 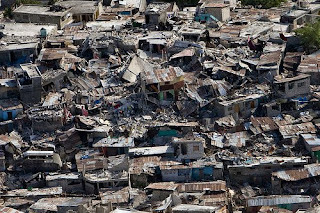 The earthquake in Haiti is a tragedy of staggering proportions. The disaster is eliciting help from all quarters -- including wine lovers. The online wine magazine PalatePress.com is partnering with Brother, can you spare a bottle? to create a wine auction from wines that you donate from your cellar, with proceeds going to the American Red Cross. This is a great opportunity to take a special bottle and make a positive impact for the most needy country in the Western hemisphere. Palate Press had originally planned to cover the costs of shipping and handling to the auction winners but was soon swamped by responses. Instead, Palate Press will now contribute to the American Red Cross an amount equal to the shipping cost if the donor handles the shipping.Check out the details at http://palatepress.com/2010/01/haiti/. Some superb bottles have been contributed and the bidding will take place on the Palate Press site. Please spread the word on this effort.